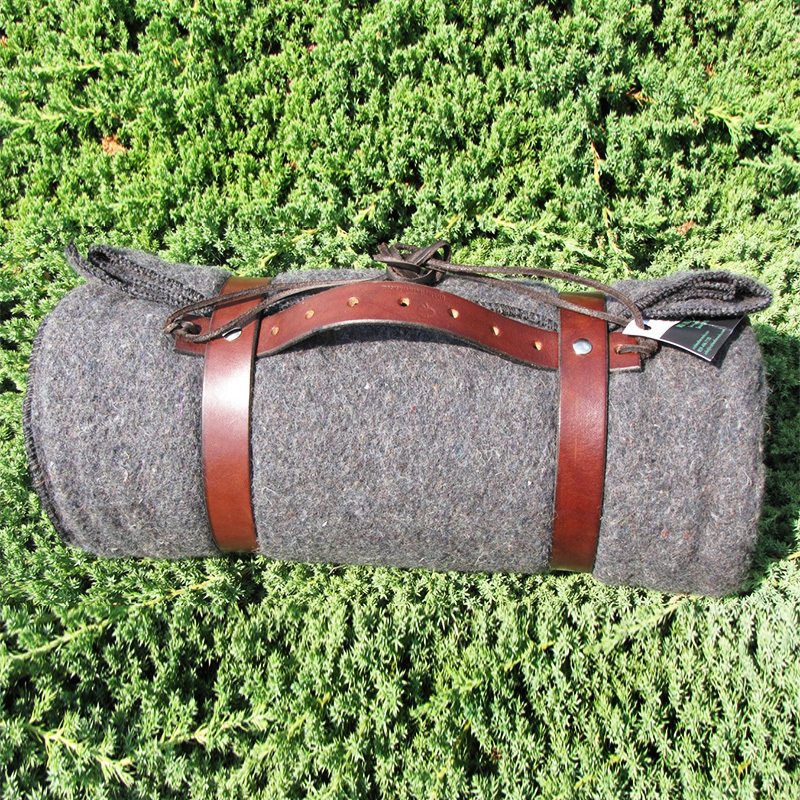 High-quality blanket roll with handcrafted leather straps and ties. 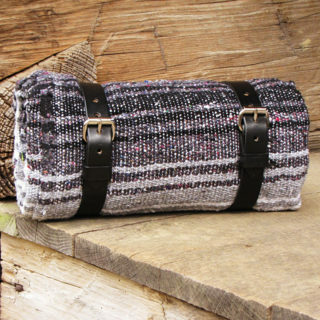 These blanket rolls are great for decoration, motorcycles, camping, hiking, backpacking, horseback riding, and more! Very classic look and heavily made. 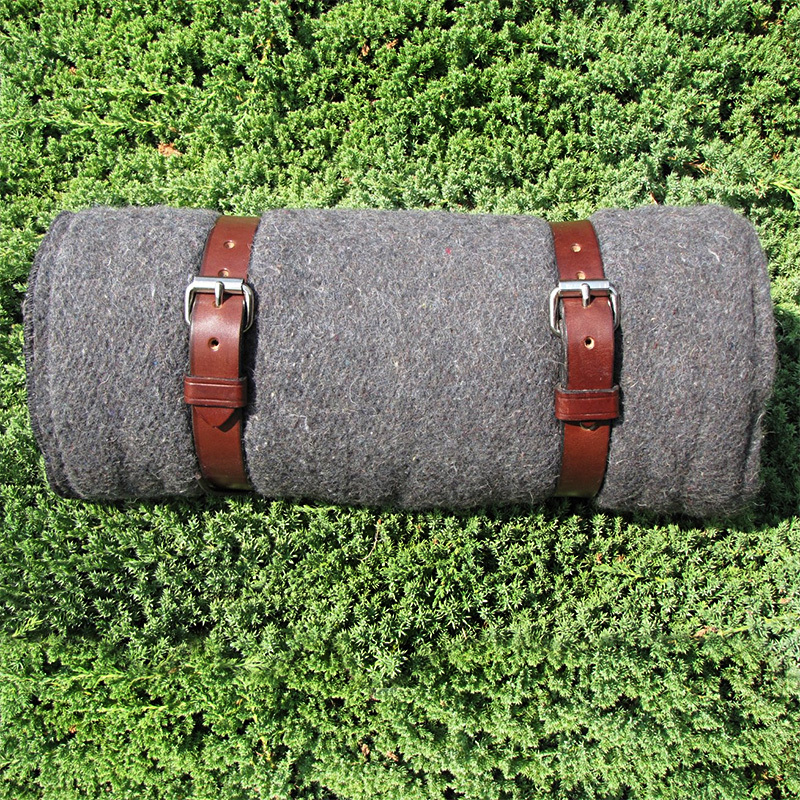 This blanket roll features a gray blanket with a choice of solid or eyelet black straps. 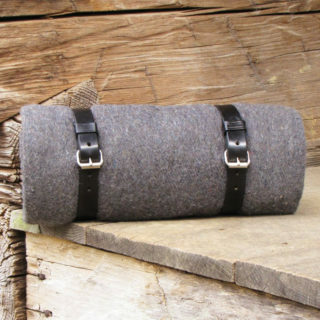 Roll is approximately 14″ x 6″. The unfolded blanket is approx. 74″ long and 50″ wide. Very unique! Own an Irish Leather Works Original! 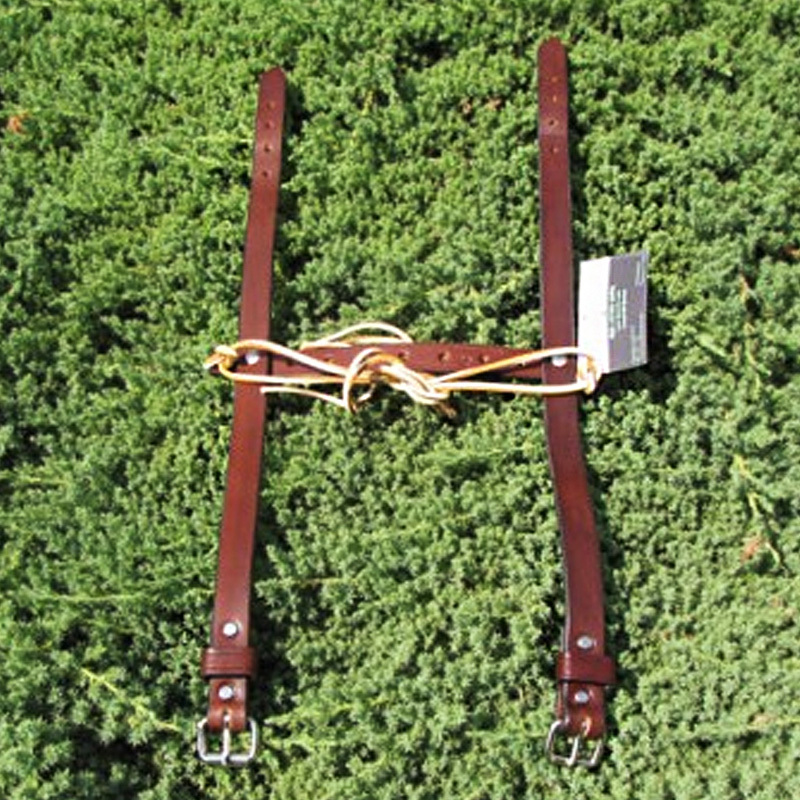 Leather is an organic product, as with all natural products, there may be slight color variation. Although these are custom handcrafted items, you won’t have to wait for a typical custom timeframe. The majority of our items ship the next day.